How strange it is that the world loves to quote the Bible when it suits their purposes, but when it doesn’t, they conveniently ignore it. When they quote such a verse at us, we think that since it is Scripture, it must mean what the world says it means, and so we refrain from judging others, without ever looking up the passage to see what it really says. We will see what Christ means when He says “Judge not, lest you be judged.” But before we do that, let see what the rest of the Bible says about judging. Many Christians are surprised to find out that there are scores of other verses teaching us that we are to judge. Matthew 7:15-16 tells us how to tell if someone is a true of false teacher. Obviously, to do this, we must engage in judging. It is not unchristian to condemn someone as a false teacher, if they truly are. 1 John 4:1-2 similarly tells us to test the spirits, to discern the spirits to see which are from God and which are not. Again, this requires some sort of judging on our part. Paul, in 1 Corinthians 10:15, specifically commands his readers to judge for themselves if what he says is right or wrong, truth or error. He writes in Ephesians 5:11 to expose and condemn certain actions as being sinful. He further writes in Romans 16:17 to not associate with those members of the church who cause divisions and disruptions within the church. This can only be done by making a judgment. Even Jesus, who made the statement “judge not, lest you be judged,” praises Peter a few paragraphs later for making a correct judgment (Luke 7:42-43). Later, Jesus praises those who listen to him for their ability to judge others correctly (Luke 12:57). In John 7:24, Jesus actually commands us to judge others; not according to appearance, but with righteous judgment. He further outlines for us in Matthew 18 the steps a church must take in making right judgments on those within the church. Scripture is full of instructions about the duty we have as Christians to judge others. We are to judge between truth and error, right and wrong. We are to carry out a judging and restoration process when another Christian falls into sin. Scripture is very clear. We must judge. Biblically, when it comes to judging, the one thing we must not do is not judge. 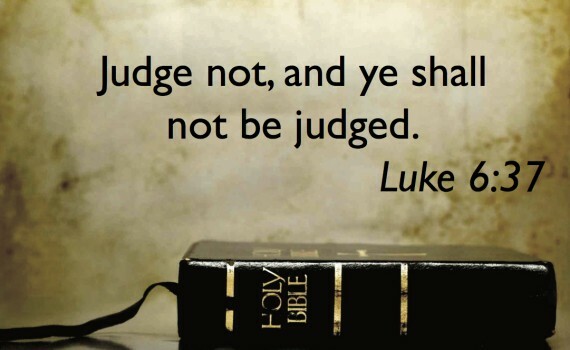 What then are we to make of Christ’s statement in Luke 6:37 about not judging others? He says, “Judge not, and you shall not be judged.” The world loves to quote this verse. Even Christians love to quote this verse to one another in the name of love and tolerance. But could it be that in light of what the rest of the Bible says, the world, and even many Christians, have a terribly incorrect view of what Christ is actually teaching? This must be the case. Either that, or Jesus contradicts the Bible. We all know that the Bible never contradicts itself, and Jesus, being God, never contradicts the Bible either. So how are we to understand Christ’s words in Luke 6:37? Jesus says, “Don’t judge.” The rest of the Bible says, “Do judge.” How can we make sense of this? One of the keys is to remember the context of Christ’s words. Nobody likes to be quoted out of context, but it probably happens to Jesus more than anybody else in all of history. To understand what Jesus is saying, we must look at the context of his words. Luke 6:37 is found in the middle of his discipleship manual. If you think you are a follower of Jesus Christ, Jesus lays out for you here in Luke 6 (and in Matthew 5-7 in much more detail) exactly what you should be doing. 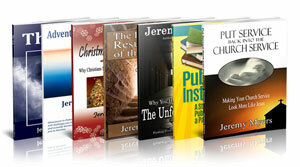 Christian churches around the world are full of Christians, but few who act like Christians. There are lots of believers, but few disciples. If you think you are a follower of Christ, you had better take note of what Christ says in Luke 6. This sermon in Luke 6 is all about our attitude. Luke 6:20-26 concern out attitude in our circumstances. We are to trust God in all of our circumstances. Luke 6:27-38, the section we are concluding here, is all about our attitude toward others. The true disciple of Jesus Christ loves others. Christ gave us three exhortations to loving others, three examples on how to love others, and then he closes with three standards of love. There is the human standard and the divine standard in verses 31-36, and then the judgment standard in verses 36-38. It is this third standard of love, judging others, that is found in these verses. Let’s begin by looking at Luke 6:36. We cannot understand Luke 6:37 without looking at Luke 6:36. Luke 6:36. Therefore be merciful, just as your Father also is merciful. Since Luke 6:36 is actually the concluding statement of the divine standard, it explains how God judges. We read that since He is merciful, we should be merciful as well. This is the first principle of judging others. Be merciful. Show mercy. What is mercy? Mercy is not giving to others the punishment they deserve. When someone sins, mercy does not punish them. A while back, I rented a movie from the video store. It was a three day rental, meaning I could have it for three days. In my mind, I thought that a three day rental also means three nights. I rented it on a Friday night and watched it. Then I kept it for Saturday night and Sunday night and returned it Monday morning. I found out though that a three day rental is actually only two nights. It’s three days and two nights. So on Monday, when I returned it, I had a late charge. When I got out my wallet to pay the charge, the lady said, “Don’t worry about it. Everybody deserves some mercy sometimes.” That’s what mercy is. I had returned the movie late, and so I owed a fine. But she did not make me pay the fine. She showed mercy. She did not give me the punishment I deserved. She would think I was crazy! There was a due date which I had clearly broken. Yes, I broke it out of ignorance, but that does not get me off the hook. I was guilty. And she made a correct judgment according to the standard that I was guilty. And I, once I rightly understood the standard, admitted that she had judged correctly, and I was guilty. That is why I pulled out my wallet to pay the fine. And that is when she showed mercy and did not make me pay the fine that I should have. Do you see what mercy implies? God shows mercy upon us, and he wants us to show mercy on others. But mercy implies judgment. There can be no mercy if there are no judgments. 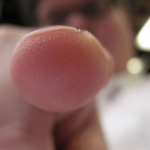 Mercy can only be shown if a prior judgment has already been made. There is judgment without mercy, but there is no such thing as mercy without judgment. The showing of mercy implies that a previous judgment was made. And just as God shows mercy on those He judges, we are also to show mercy on those we judge. This is what Luke 6:36 teaches. It is saying that when we judge, be merciful. So how can we be merciful? The best way to be merciful toward others is to remember one simple phrase. When you are tempted to look down, or be critical of others, just remember that the only reason you are not in their same situation is because of the grace and mercy of God upon you. The phrase I like to repeat to myself is “There, but for the grace of God, go I.” All of us are sinners. One sin, no matter how small, is infinitely offensive to a righteous and holy God. 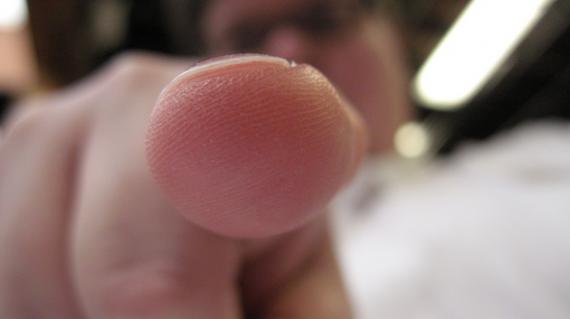 God has every right to squash us under his thumb, or incinerate us with fire from heaven any time He wants. Or, he could take away our jobs, our health, our family, our money, our possessions, our sanity, and stick us in prison or in a sub standard way of living. Even that would be merciful because of our sinfulness. But God, who is rich in mercy, lets us live where we do, and have the things we own, and keep the health we enjoy. When you see a young woman, addicted to drugs, living on the street, selling her body for the next hit, though you should judge her actions as wrong, be merciful and say, “There, but for the grace of God, go I.” Such an attitude will enable you to help her rather than condemn her. God has a way of humbling us. When we unjustly judge, condemn and criticize others for their weaknesses and their failures, we often find that we fall into those exact same sins ourselves. You criticize someone else for being bad parents, and then your own children go astray. You criticize someone else for their marriage problems, and then you and your spouse get into a huge fight. When we are unmerciful in our judgment of others, God often causes the same exact things to happen to us, just to show us that we are not better than them. When you see someone else in sin, be merciful. It is only because of the mercy and grace of God upon you that you are not in the same situation as they. This is what Jesus goes on to teach in Luke 6:37. He teaches here that your judgments will come back to haunt you. Luke 6:37. 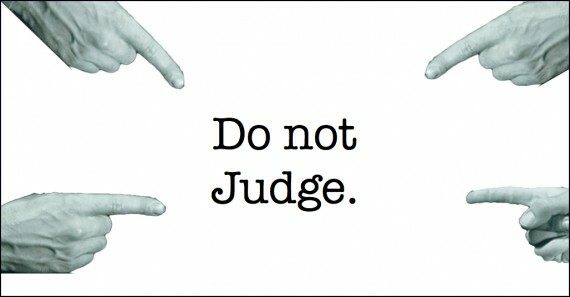 “Judge not, and you shall not be judged. Condemn not, and you shall not be condemned. Forgive, and you will be forgiven. Jesus gives three statements here on judging others. He talks about judging, condemning and forgiving. The first two are the ones that people most often quote. Don’t judge and don’t condemn. But let’s begin with the last one about forgiving. Christ says, Forgive, and you will be forgiven. This statement is just like Luke 6:36 about being merciful. You cannot be merciful unless there was a judgment. Similarly, you cannot forgive unless you judge that a sin was committed. Have you ever had someone come up to you of the blue and say, “I forgive you for what you did”? What is your response? You say, “What did I do?” You see? Forgiveness implies that a judgment has been made. You cannot forgive without a prior judgment. It is nonsense to say, “I won’t judge you but I do forgive you.” No, you can only forgive someone when they sin against you, and if you say that they are sinning against you, you have made a judgment about their actions. When everything Christ says in this passage is taken together, we see that He is not teaching us not to judge, but to judge correctly – to judge mercifully, to judge and forgive. This is what Christ means in the first part of Luke 6:37. He says, Judge not, and you shall not be judged. Condemn not, and you shall not be condemned. But there is no such thing as remaining neutral. An attempt at neutrality is always to side with evil. Imagine a football team where all the players decide to “sit this one out.” If that’s the attitude of the players, they will lose the game. This is especially true in wars. In World War I and World War II, there were European nations that tried to remain neutral. Inevitably, such nations were swallowed up by invading armies. The spiritual battle we are in as the church is the greatest war that has ever been waged. It’s not a war against flesh and blood, but against spiritual forces. And we had better judge correctly between good and evil, right and wrong, truth and error. We had better point out to people their sin. People’s eternal souls hang in the balance. It is not unloving for a doctor to point out what is wrong with your body so that you can get better. Nor is it unloving for a pastor, or the elders, or another Christian to point out sin in the body so that it can get better. When Christ says do not judge, He means do not judge incorrectly. When He says, do not condemn, He means do not condemn unjustly. This is in full agreement with the rest of Scripture. So how do we judge correctly? Let me provide two guidelines on how to judge correctly. First, don’t be self-righteous. Don’t be hypocritical. I have already mentioned this a bit, but when we call the actions of someone else sinful, or the teachings of someone else false, we must always recognize that the only reason we have not fallen into the same sin or the same error is because God’s grace has kept us from it. We can never know the circumstances in life which led a person to commit a sin which we condemn. We may condemn someone for being an alcoholic. And being addicted to alcohol truly is sin. But what if the only reason that person became alcoholic is because all in the same month, he lost his job, his wife died in a car accident, his son fell off a cliff and broke his neck, and his house burned to the ground? If all of these things happened to me in the same month, I might turn to alcohol too. Which is why I am grateful God has not allowed all of these things to happen to me. There, but for the grace of God, go I. It is not my righteousness that has kept me from such sin, but the grace of God. We must not be self-righteous or hypocritical. We must always recognize that we are most often blind to our own sin. We must never think that we ourselves are free from sin. Our lives will never be perfect this side of heaven. So when you judge, when you condemn, do not do it with an attitude of superiority, like you’ve got it all figured out. You don’t. You are just another servant of God struggling with the same temptations and same uncertainties trying to help another brother or sister down the path. Because of this, it is always wise to look to your own heart and life before pointing out the sin in someone else’s life. Jesus teaches more about this in verses 39-42 where he talks about the blind leading the blind and removing a speck out of your brother’s eye when you have a plank in your own. I have also found that the sin I find most evident in the life of others is often the same sin I struggle with in my own life. So the first guideline in judging others correctly is to not be self-righteous. But what actually happened was that as he left church, he saw an empty beer can on the ground. He wanted to improve the way the parking lot looked, so he picked up. Since there aren’t any garbage cans out there, he put the empty can inside his coat to throw it out later. Always give people the benefit of the doubt. When someone hurts or disappoints you, very rarely are they doing it intentionally. I know this has been true in my own life. There have been times when someone in church, or my wife Wendy, comes up to me and says, “You know, what you said really hurt.” All of these times, it is only because of my ignorance and failure to think of others that I did what I did. I was not trying to hurt or offend them. But that is the way it was perceived. To keep ourselves from judging unjustly, always give people the benefit of the doubt. Do not judge the motives of other people. “The only thing we can do is evaluate what is done and see if it is consistent with the Word of God.” Who are we to judge another servant of God? To his own Master, he stands or falls (Rom. 14:4). Jesus says, “Don’t judge.” In context, He’s saying, “Don’t judge self-righteously. Don’t judge the motives.” We seldom have all the facts. God alone is qualified to judge justly. And He will judge. One day, every person will be judged. Even us. And we will be judged according to the same standards we used in judging others. Therefore, we must be merciful, as Luke 6:36 taught, and be generous, as Luke 6:38 goes on to say. We often criticize the media for quoting Christians out of context, but we are masters at quoting Christ out of context. Isn’t it ironic? We judge and condemn the media for quoting Christians out of context, yet we ourselves constantly quote Christ out of context? Not only that, but two of the verses we quote out of context come from a passage where we are not to hypocritically condemn others yet do the same things ourselves! We condemn the media for quoting Christians out of context, but we are guilty of it ourselves, for we quote Christ out of context. Let us be guilty of it no longer. Luke 6:38 has nothing whatsoever to do with money! Christ is talking about our attitude toward others and how we should or should not judge them. Christ is saying that in our judging, we must be generous. We must be over-merciful, over-forgiving, forbearing, longsuffering, and patient. Verse 38 teaches that in the way we dole out judgment upon others, we will receive the same judgment back. I am all for making right judgments, but we must also be wary of being hyper critical and condemning everybody and everything. There are several high profile Christian ministries out there where all they seem to do is condemn and criticize everybody else’s ministries. One of these ministries I am familiar with has, in this past year alone, condemned Billy Graham, George W. Bush, Rick Warren’s Purpose Driven Life, John Eldredge’s Wild At Heart, Mel Gibson’s “The Passion of the Christ,” James Dobson and Focus on the Family, denominationalism, contemporary worship music, and a whole host of other Christian leaders, authors and organizations. I like this person’s ministry, but I frequently wonder if it is too critical and judgmental of other ministries. I understand everything this organization is saying, and I even agree with most of it. But I also believe that most of these other organizations have pure motives in what they are doing and teaching. I wouldn’t do or teach things in exactly the same way, but I don’t think any of it is heretical or blatantly anti-Scriptural. And since nobody can have a completely perfect life and doctrine, I wonder what kind of judgment this hyper-critical organization will receive at the judgment seat of Christ? According to Luke 6:38, the same measurement they used will be measured out to them. The standard of perfection they hold to others will be the standard by which they are judged. The underlying symbolism is that of the Near East grain market, but similar conditions are found all over the world. Anyone who had had anything to do with the sale of grains, fruits, or vegetables knows that a bushel loosely filled contains far less produce than one in which the grain or other agricultural products have been pressed down, shaken together, and added to until they run over the edge of the container. In the context of judging others, this picture is of how God will judge us in relation to how we judged others. In saying, “Judge not, lest you be judged” Jesus has actually taught us how to judge correctly. Jesus himself judged others, as did many Godly men and women throughout the Bible. There is a whole book of the Bible devoted to some of the human judges. If you want to judge justly, judge as Jesus judged. He came to this earth , not to condemn but to save. He came to walk in our shoes for a while. When someone is doing something sinful, try to put yourself in their shoes. Try to imagine what it would be like to be them. Try to understand what the attitude and motive of their heart is. Try to understand the circumstances in life that led them to their actions. Then pray. Pray to see the person through God’s eyes. Pray that you may look upon them with tears of sorrow, not tears of anger. Jesus, when He looked upon the rebellious city of Jerusalem full of people living in hypocrisy and sin, he did not get angry. Instead, He wept. 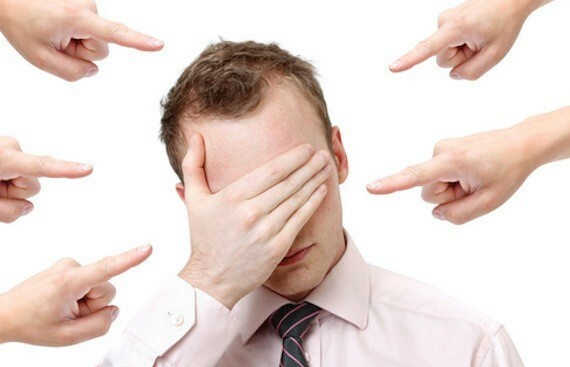 Judging others as God judges others will lead us to tears, not to anger. In college, Wendy went on a short-term missions trip to Amsterdam. As most of you might know, Amsterdam is famous for it’s “Red Light District.” She and some friends walked through it one night to get to where they were staying. At first, she didn’t really know exactly what to think of all the prostitutes and sexual perversions that were taking place all around her. She says that her first instinct was revulsion. But as she prayed, her response changed. When she looked into the eyes of one of the many prostitutes lining the streets, Wendy saw only fear, sorrow and pain. In that instant, Wendy realized how lost these poor girls really were. It was not all their fault they were in that horrible situation. The revulsion melted away. The outrage vanished. The disgust was replaced by love and sorrow. Here she was, in one of the most sinful places on planet earth, and she felt only grief and sorrow for the lost and dying women all around her. Notice that Wendy did make a judgment. What was going on was terribly wrong and terribly sinful. She condemned the sin of prostitution. But she did not condemn the person. She loved the person. She saw the prostitutes as young girls enslaved to sin. It has them locked up in the dark chains of perversion and guilt. Wendy, in praying to see those prostitutes as God sees them, was able to condemn and judge the sin, but love the person. This is how to judge correctly. Is abortion wrong? Yes. Is adultery wrong? Yes. Is addiction to drugs, alcohol, and food wrong? Yes. But we do not condemn the people who are enslaved to these sins. Instead, having made a right judgment about the wrongness of these sins, we can now made right decisions about how to free these people from the sin that enslaves them. People say, “Do not judge, lest you be judged.” Although this is what Christ seems to say, in context it becomes very clear what He is truly teaching. He is saying that we must not fail to judge, for people’s lives are at stake.